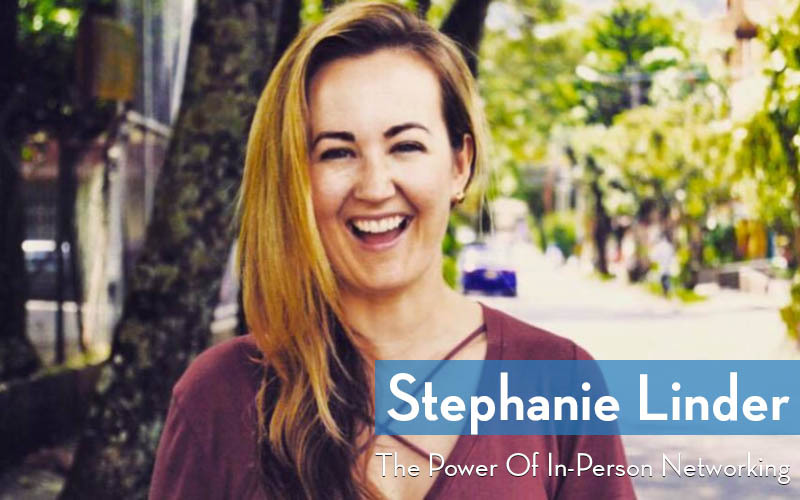 Stephanie Linder transformed her business, blog, and professional network through in-person networking after launching the international blogging meetup group Blogging In in Medellín in early 2017. The Power of In-Person Networking Crash Course will teach you how attending or creating your own meetup can be a major value-add to your business and one of the most important things you can do for your network. Share with us the history of your Blogging In Meetups. What was the first meetup like and how did you get started? How evident was it that these meetups would continue after the first one was held? When did you start introducing special guest speakers into the mix? Why do you believe in-person networking is so effective? What are some tips you can provide introverts to get out of their shell at attending networking events? How do I find meetup groups and events in new cities? What principles did you learn at in-person networking events that you can apply to meeting new contacts in other ways? What benefits have you personally received from organizing in-person meetups? What steps should I take to start my own meetup? What can someone do today to either attend or create their own in-person meetup?